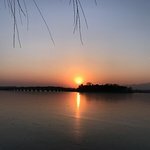 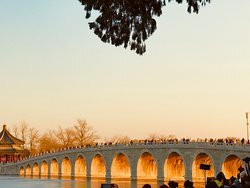 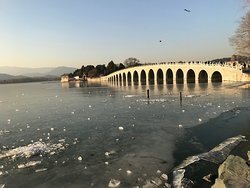 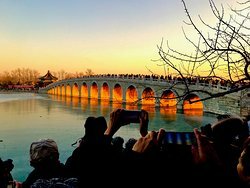 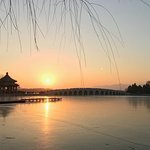 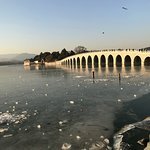 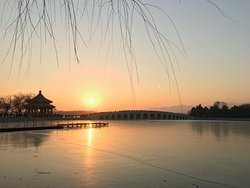 - literally hundreds and thousands of tourists flocked to the Seventeen-Arch bridge on Kunming lake near Beijing’s Summer palace to witness this Marvelous Brilliance. 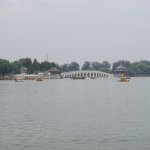 Located inside of the summer palace the bridge leads to the island. 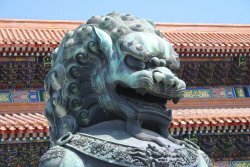 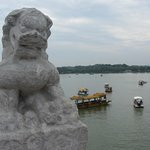 The bridge is lined with 500 lions. 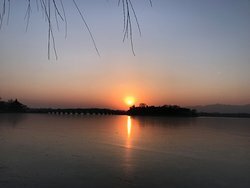 Great for pictures. 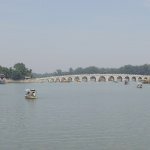 Seventeen Arches Bridge - is one of the best places to visit in the entire city. 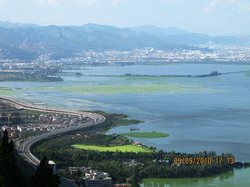 Loved the view of the sea here. 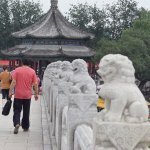 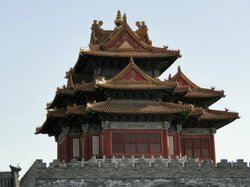 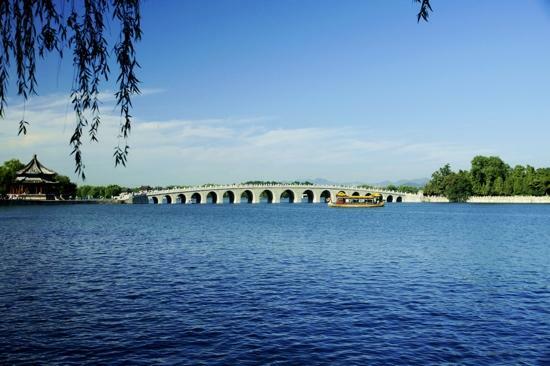 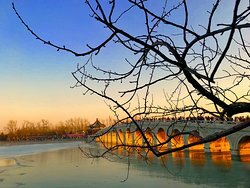 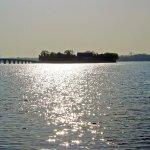 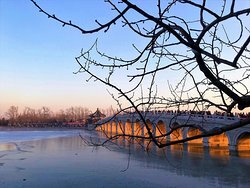 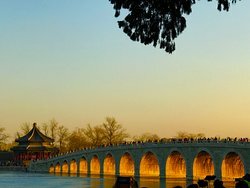 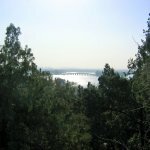 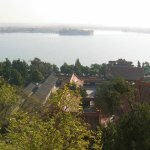 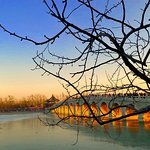 All around the summer palace you will see beautiful bridges. 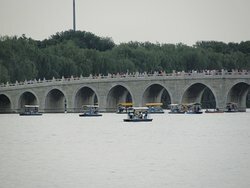 Some bigger than the other, the double bridge, the dragon bridge and so on. 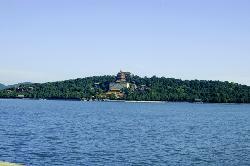 This is the biggest and it is certainly an eye catcher. 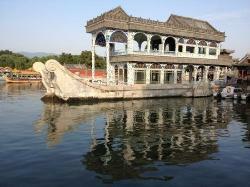 beautifully decorated with tiny dragon statues. 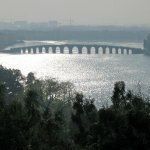 Get quick answers from Seventeen Arches Bridge staff and past visitors.